Potter started his life in a dog-fighting ring - he's already seen more cruelty and violence than any dog deserves. 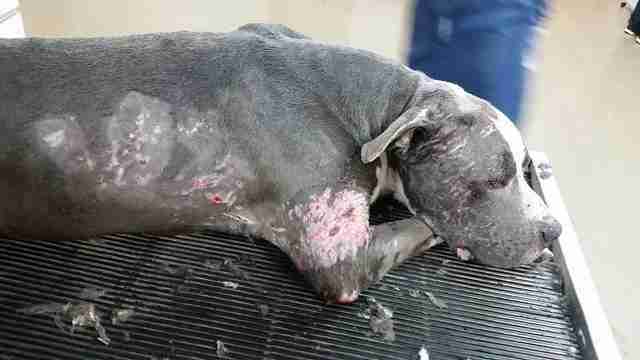 The gray and white pit bull was found as a stray in Sauk Village, Illinois, earlier this month and taken to nearby County Line Pet Hospital. He was covered in injuries. "Once we sedated him to clean his wounds, we started shaving and just kept uncovering more and more scars and wounds," Cassie Franta, one of Potter's rescuers at County Line, told The Dodo. "It was heartbreaking." 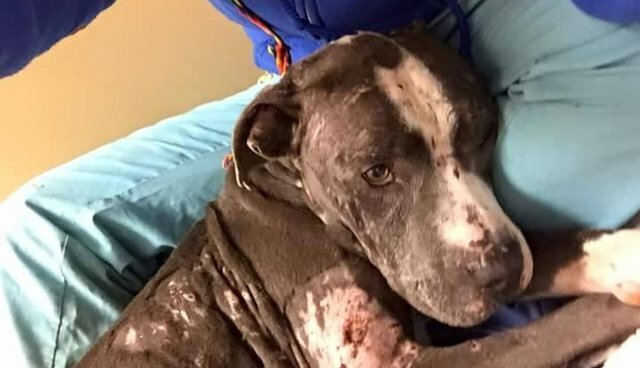 The pattern and severity of his wounds indicated that Potter was likely used as a bait dog in a fighting ring - other dogs were forced to attack him, over and over again. "The scars and wounds are all clearly from punctures, teeth marks and scratches - much more than you would see with just a one-time dog fight," Franta said. "He clearly had old and new scars all over his body, making it clear he has been fought." Despite the cruelty and violence of his past, Potter is incredibly loving - and that's what makes his story all the more tragic to his rescuers. "Humans fought him, treated him poorly and yet, he LOVES everyone," Franta said. "His tail wags as soon as you look at him. He loves to just sit on your lap and be pet. He even takes treats so gently from your hand. It's impossible not to fall in love with him." Potter is still recovering - he has one deep wound on his leg that will require extra attention - but the search is on for the perfect foster home to see him through his journey to health. 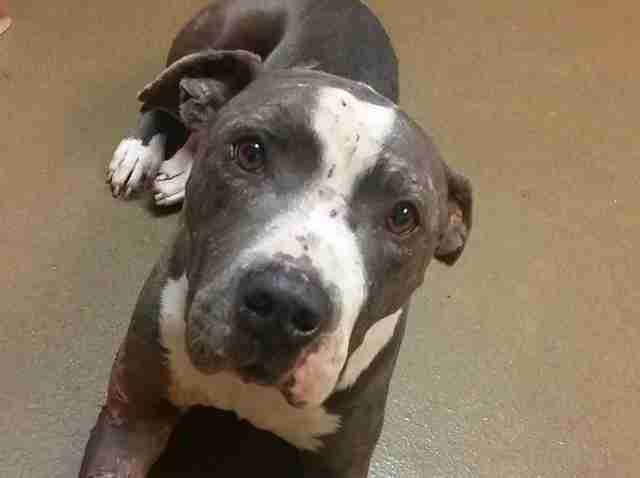 Franta hopes Potter's story will shed light on the issue of dog fighting. "Potter is the perfect dog to bring this awareness," she said. "When you hear his story, people's first thought is he must be aggressive. Wrong. He shows that no matter what someone has done to him, he still has the ability to trust and love." Potter has already proven that he's got plenty of love to give - and he'll make some lucky humans very happy someday. For more info about him, check out the Facebook page that his rescuers have set up to tell his story.